Tasting notes: In its deep ruby ? 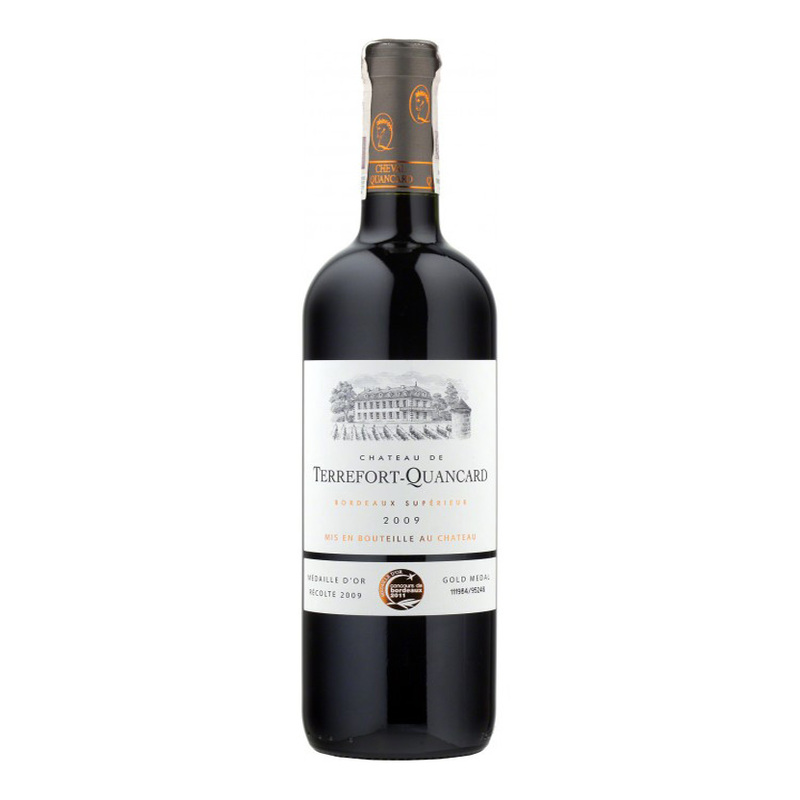 ?color, Terrefort-Quancard wine offers a delicate scent of blueberries and wild berry on the nose. A very good vintage not to be missed! The origins of Château de Terrefort-Quancard go back in the mists of time, with part of the building dating back to before the 16th century. It has been owned by the Quancard family since 1891. The estate, situated on the highest point of the hillside of the commune of Cubzac-les-Ponts, looks out over the Dordogne, between the Côtes de Bourg and the Côtes de Fronsac. The chateau’s vines benefit from a microclimate that is ideal for winegrowing: moderately warm, humid, masses of sunshine and mild winters. The Bordeaux Superieur appellation represents wines produced in high-quality sub-regions, outside of the villages-appellation, with better potential than a classic Bordeaux appellation. Very often they offer wines with great value, like this yummy cuvée! After harvest, the fermentation is done in concrete tanks, and part of the production is aged in oak barrels. It showcases an appealing garnet red colour, and displays a delicate bouquet with fragrances of candied fruit and spices. Medium-bodied and ripe on the palate with mellowed tannins, this is a generous red with a delightful fruity finish.